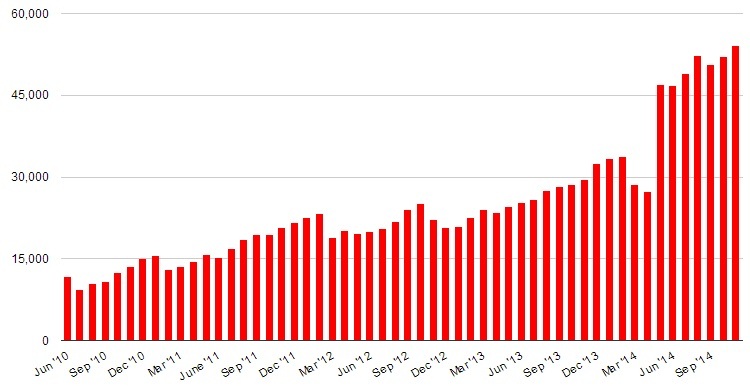 The total number of regions, registered users and active users all hit new record highs this month. The total land area on OpenSim’s public grids rose by the equivalent of 1,943 standard regions to 54,123, the grids gained more than 8,000 new registered users, and the number of active users rose by an even 1,900 this month in large part due to a successful OpenSimulator Community Conference. AviWorlds was the big land gainer this month, with a series of recent mergers with others grids as well as a free land giveaway. Altogether, 22 different grids gained land this month. Number of standard region equivalents on all public OpenSim grids. The OpenSim software has been downloaded 1,940 times this past month, including 614 downloads of the Diva Distro, 1,128 new downloads of Sim-on-a-Stick, 31 downloads of New World Studio, and 167 downloads of the standard distribution at OpenSimulator.org, which seemed to have a glitch in its counter this month. According to Hypergrid Business estimates, the OpenSim software has been downloaded 213,715 times since September 2010, when we first started keeping track. We did not include the OpenSimulator Community Conference numbers in previous top-ten lists since the grid was simply running scalability tests. But this month, the conference grid deserves to be on the list, because the conference was actually held, and the grid was packed with real, live attendees. The conference grid wasn’t the only gainer, however. 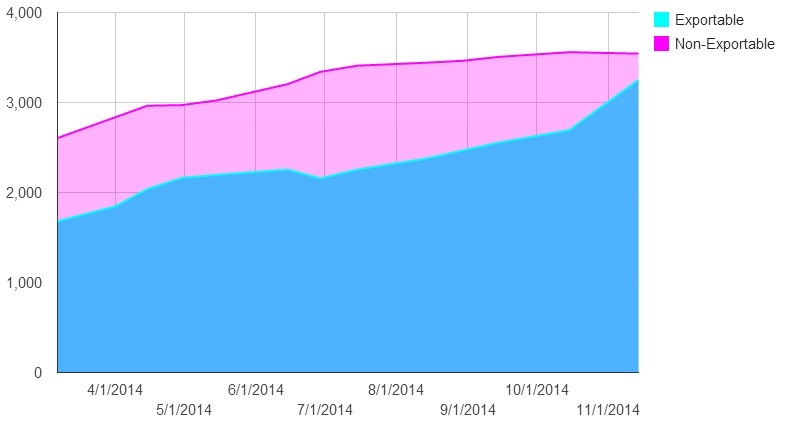 A total of 70 grids gained active users this month. On our top ten list, Metropolis gained 63 active users, Kitely gained 33, Craft gained 70, 3rd Rock gained 39, FrancoGrid gained 82, Lost Paradise gained 14, and Islands of Enlightenment — an educational grid based in upstate New York — gained 243. 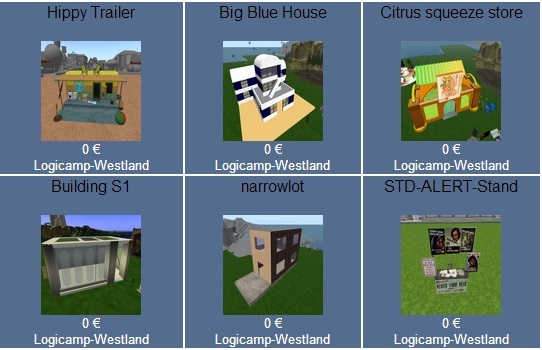 Logicamp, a low-cost grid based in Belgium, has posted a few hundred items online in its Web Boutique market. It’s based on the same principle as OpenSim Creations, which is currently down because of technical issues. The grid also hosts a party every Friday on its Condensation region, at noon Pacific. Teleport via hypergrid to logicamp.org:8002:condensation. 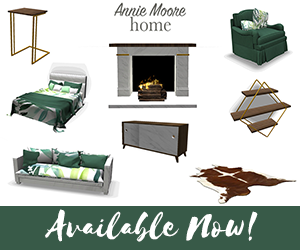 Six of the 335 items currently available for free download on the Logicamp Boutique. 3rd Rock Grid has added two new shopping malls with rent-free stores. To claim a store, merchants should contact Tommy Rock or Sunny Tomorrow in-world. 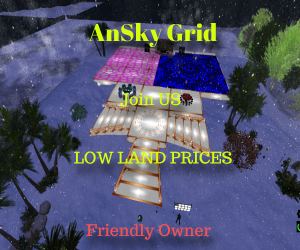 The grid has also given away several free “First Land” regions, grid owner Terry Ford — also known as Butch Arnold in-world — told Hypergrid Business. These regions are free to new residents for the first 30 days, then cost just $8 a month for 15,000 prims after that. The grid has also added two new staff members, greeter Paige Stormblade and website blogger Peebles Rock. 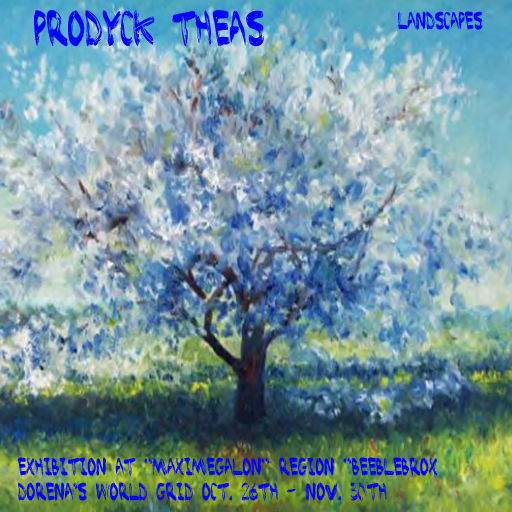 French oil painter Prodyck Theas is exhibiting landscape paintings through the end of the month on the Beeblebrox region of Dorena’s World grid. Teleport in via hypergrid to Dorenas-world.de:8002:Beeblebrox. The number of exportable items on the Kitely Market shot up 20 percent this month, with more than 500 additional product variations now enabled for delivery to other grids. The number of non-exportable items actually shrank this month. Kitely Market’s exportable and non-exportable variations. The Kitely Market now offers 6,794 variations of 3,316 products, a record high, and the biggest single increase in variations since the market first became hypergrid enabled in March. A presentation about the Kitely Market was also the most popular event in the Business and Enterprise track at the OpenSimulator Community Conference earlier this month. You can watch a taped recording of the presentation here. “We made several significant upgrades to Kitely Market this past month, adding an advertising system that is integrated with our analytics system, upgrading the merchant product management tools and adding an advanced related products feature to product listings,” Kitely CEO Ilan Tochner told Hypergrid Business. The Kitely Market is currently the leading marketplace for hypergrid-enabled grids. 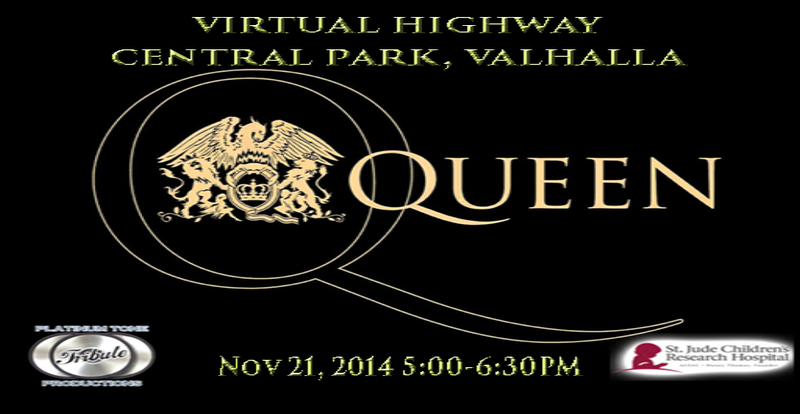 Virtual Highway, a mid-sized commercial grid known for its music, is holding a Queen tribute concert on November 21 to benefit the St. Jude Children’s Research Hospital. The concert will run from 5 to 6:30 p.m. Pacific on the Central Park region. 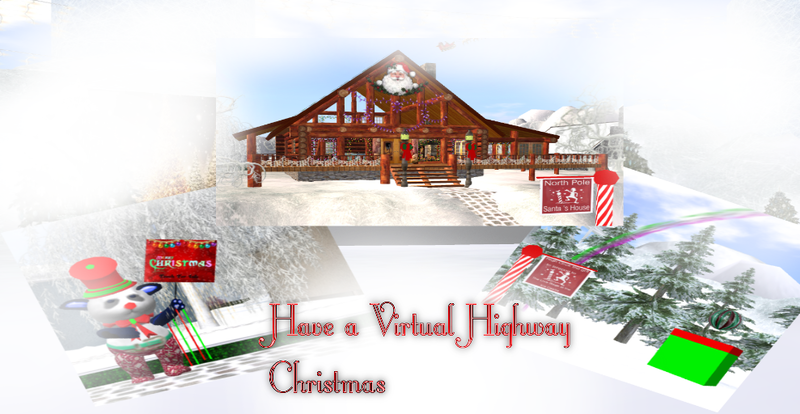 Virtual Highway CEO Gene Call, also known as Logger Sewell, will himself be performing on the guitar as Freddie Mercury. 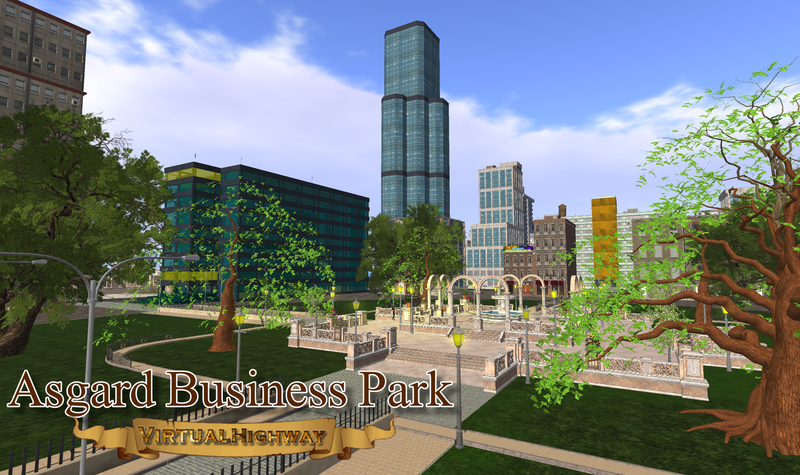 Virtual Highway has also completed construction of its 49-region Asgard Business Park. Full regions are available for $55 per month, with smaller parcels and individual offices also available. Finally, the grid has begun work on its holiday-themed variable-sized region, The North Pole. Free stores are available for merchants to sell Christmas items. We have five new grids on our list this month, including Excelsior Station, Bearly a Grid, Home of Xerdar, AnjWorld, and Atek Grid. Atek is a new commercial open grid, a joint project between Tangle Grid and the folks behind the CloudServe OpenSim hosting company. We’re listing 14 grids as suspended this month because we haven’t been able to get to their grid info pages or websites these past few weeks, including: Atcradar, Bess Research, Brillyunt, Dracsoom, Grid Empire, HewittSim, iSynergy3D, New World Grid, OCGrid, The Itakos, The World of Begabungs, Universidad, VIBE: Tooth Fairy, and Your World. And we’re marking a few grids officially closed because they’ve been down for a while and show no signs of coming back. The list below is a small subset of existing OpenSim grids. We are now tracking a total of over 885 different publicly-accessible grids, 226 of which were active this month, and 185 of which published their statistics.